Edwards, William. 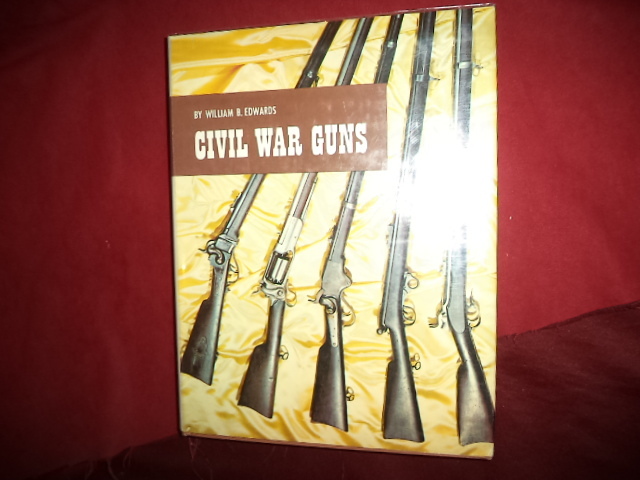 Civil War Guns. The Complete Story of Federal and Confederate Small Arms: Design, Manufacture, Identification, Procurement, Issue, Employment, Effectiveness, and Postwar Disposal. Photo available. Harrisburg. The Stackpole Company. 1962. 444 pps. 4to. Hardcover. First edition. Illustrated. Important reference work. Fine copy in fine dust jacket (in mylar). Effendi, Shoghi (trans., ed.). The Dawn-Breakers. Nabil's Narrative of the Early Days of the Baha'i Revelation. Photo available. Wilmette. Baha'i Publishing Trust. 1974. 685 pps. Octavo. Gilt decorated hard cover. Embossed covers. Reprint. Illustrated in black, white and color. Important reference work. Fine copy. Effle, Mark (ed). 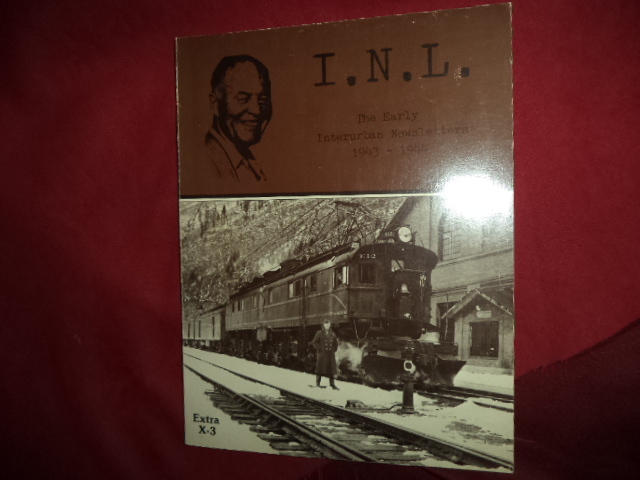 I.N.L The Early Interurban Newsletters. 1943 - 1944. Photo available. Glendale. Interurbans Pub. 1978. 152 pps. 4to. Pictorial soft cover. First edition. Illustrated. Important reference work. Fine copy. Egan, Ferol. 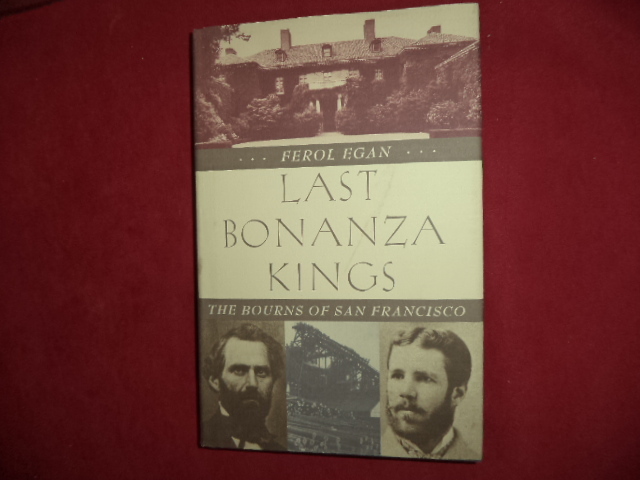 Last Bonanza Kings. The Bourns of San Francisco. Photo available. Reno. University of Nevada Press. 1998. 29 pps. Octavo. Hard cover. First edition. Illustrated. Important reference work. Fine copy in fine dust jacket (in mylar). 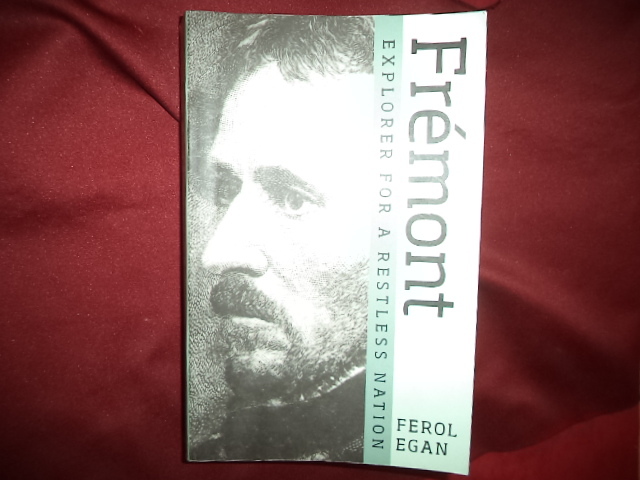 Egan, Ferol. 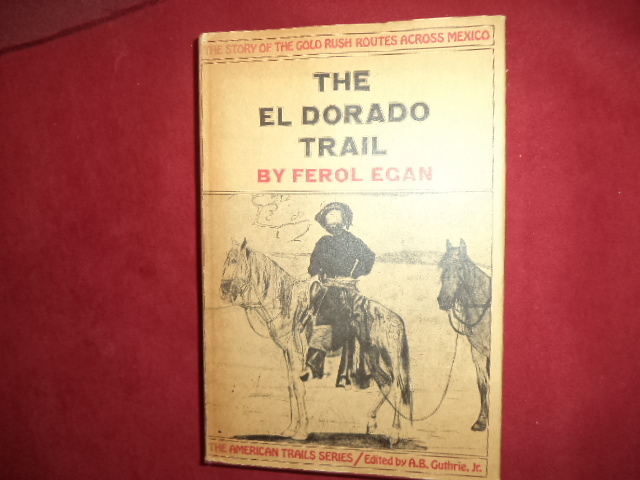 The El Dorado Trail. The Story of the Gold Rush Routes Across Mexico. Photo available. New York. McGraw Hill Book Co. 1970. 313 pps. Octavo. Hardcover. First edition. Fine copy in near fine (very light shelf wear) dust jacket (in mylar). 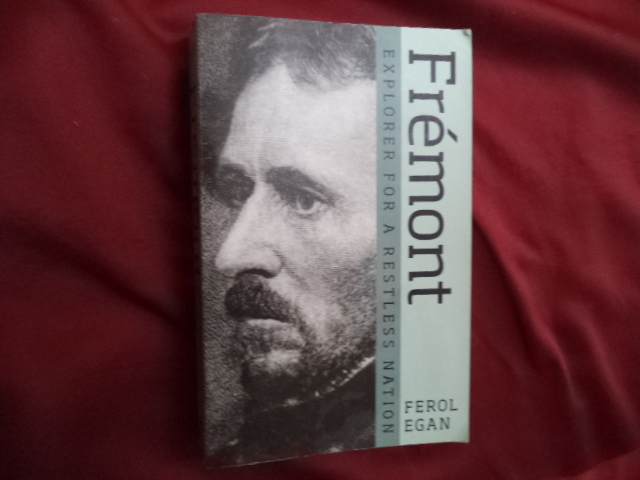 Egan, Ferol. 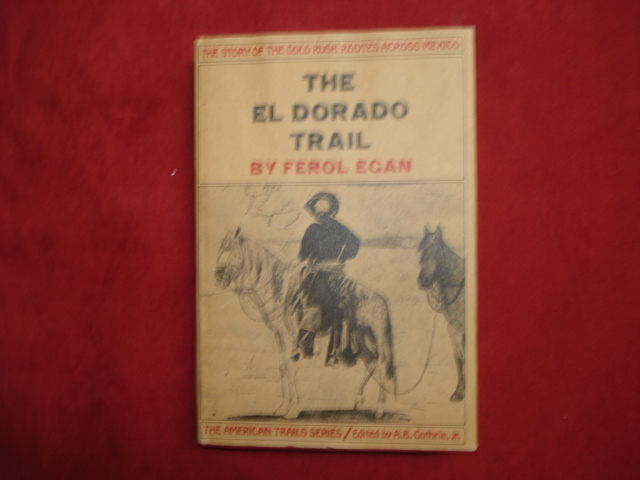 The El Dorado Trail. The Story of the Gold Rush Routes Across Mexico. Photo available. New York. McGraw Hill Book Co. 1970. 313 pps. Octavo. Hardcover. Stated first edition. Illustrated. Important reference work. Fine copy in near fine (very light shelf wear) dust jacket (in mylar). Egan, Martha J. Relicarios. Devotional Miniatures from the Americas. Photo available. Santa Fe. Museum of New Mexico Press. 1993. 4to. Hardcover. First edition. Full number line. Illustrated in black, white and color. Important reference work. Fine copy in fine dust jacket (in mylar). Egermeier, Elsie. 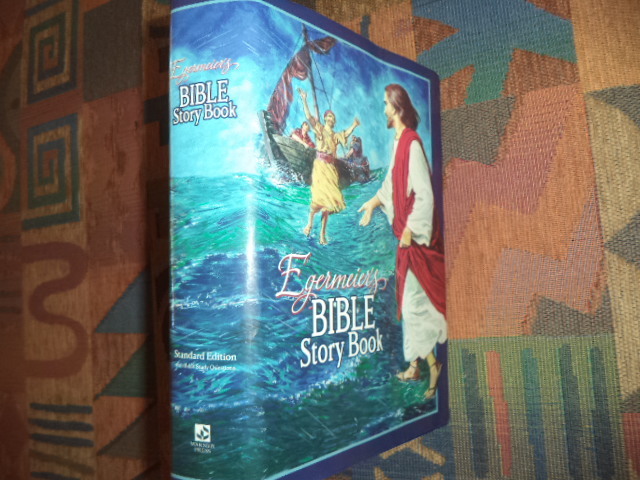 Egermeier's Bible Story Book. A Complete Narration From Genesis to Revelation For Young and Old. Photo available. Anderson. Warner Press. 1969. Octavo. Hardcover. Revised edition. Illustrated in black, white and color. Fine copy in fine dust jacket (in mylar). Egermeier, Elsie. 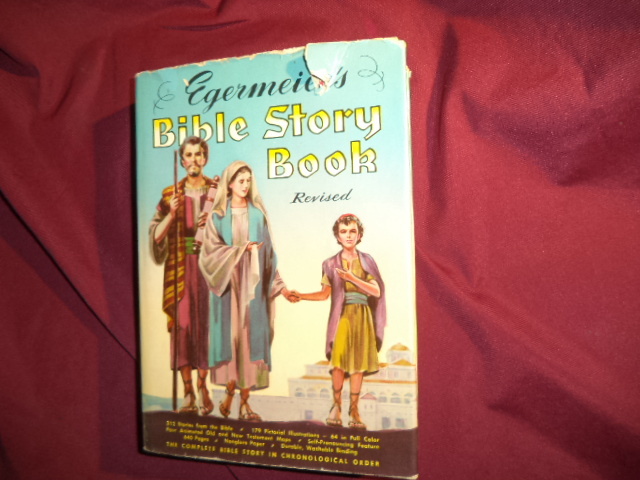 Egermeier's Bible Story Book. A Complete Narration From Genesis to Revelation For Young and Old. Photo available. Anderson. Warner Press. 1955. Octavo. Hardcover. Revised edition. Illustrated in black, white and color. Fine copy in near fine (very light shelf wear) dust jacket (in mylar). Egermeier, Elsie. Egermeier's Bible Story Book. A Complete Narration From Genesis to Revelation For Young and Old. Photo available. Anderson. Warner Press. 1968. Octavo. Gilt decorated hard cover. Revised edition. Illustrated in black, white and color. Important reference work. Fine (owner name on end paper) copy. Eggan, Fred. Social Organization of the Western Pueblos. An Integrated Analysis of the Hopi, Hano, Zuni, Acoma, and Laguna Indians. Photo available. Chicago. 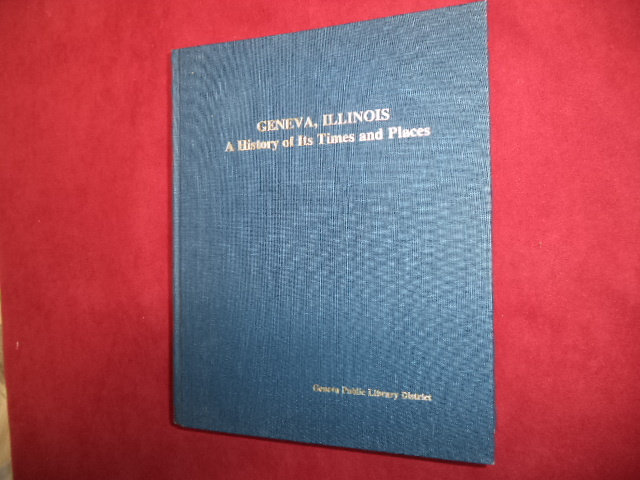 The University of Chicago Press. 1950. Octavo. Hardcover. First edition. Important reference work. Near fine copy (pencil notes) in edge chipped dust jacket (in mylar). Eggleston, Edward. The Hoosier Schoolmaster. A Story of Backwoods Life in Indiana. Photo available. New York. Grosset & Dunlap. 1913. Octavo. Hardcover. Reprint. Very good copy. Light soiling to covers. Egli, Ida Rae (ed). No Rooms of their Own. 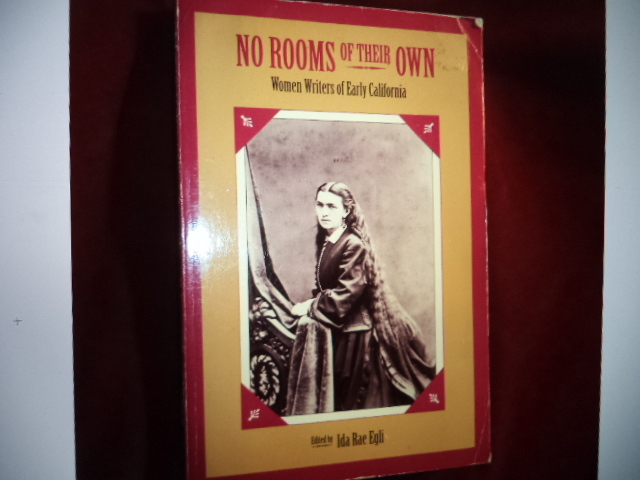 Women Writers of Early California. Photo available. Berkeley. Heyday Books. 1992. Octavo. Soft cover. Illustrated. Very good copy. Light shelf wear. Eglitis, Ilga. 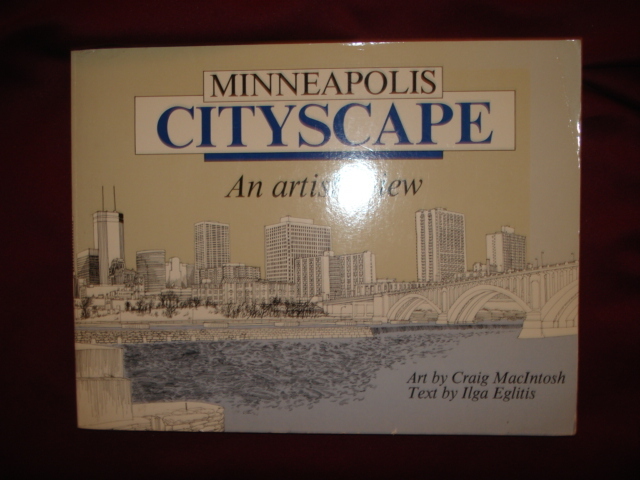 Minneapolis Cityscape. An Artist's View. Photo available. Wayzata. MACILO. 1986. 4to. Soft cover. First edition. Illustrated by Craig MacIntosh. Fine copy (very light fading to covers). 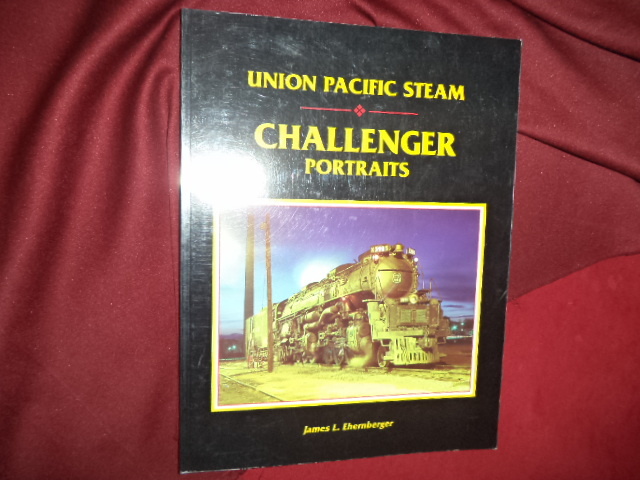 Ehernberger, James L. Union Pacific Common Standard Drawings. Roadway Signs. 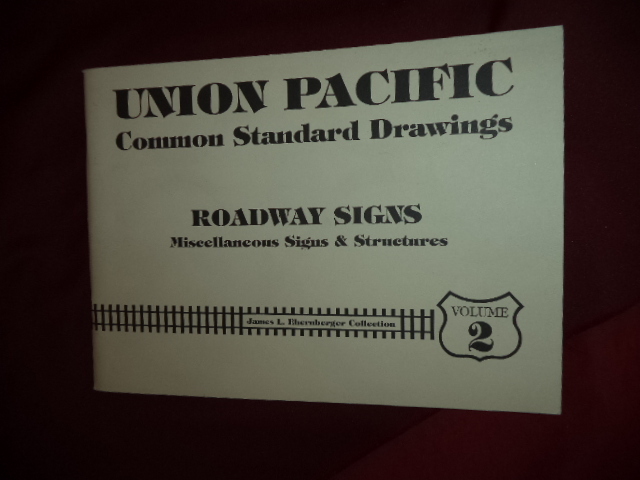 Miscellaneous Signs & Structures. Volume 2. Photo available. Cheyenne. Challenger Press. 1994. Octavo. Soft cover. First edition. Illustrated. Important reference work. Fine copy. Ehernberger, James. Union Pacific Steam. Challenger Portraits. Photo available. Cheyenne. Challenger Press. 1993. 128 pps. 4to. Soft cover. First edition. Illustrated. Important reference work. Fine copy. Ehernberger, James. Union Pacific Steam. Challenger Portraits. Photo available. Cheyenne. Challenger Press. 2000. 128 pps. 4to. Soft cover. Revised edition. Illustrated. Important reference work. Fine copy. Ehle, John. Trail of Tears. 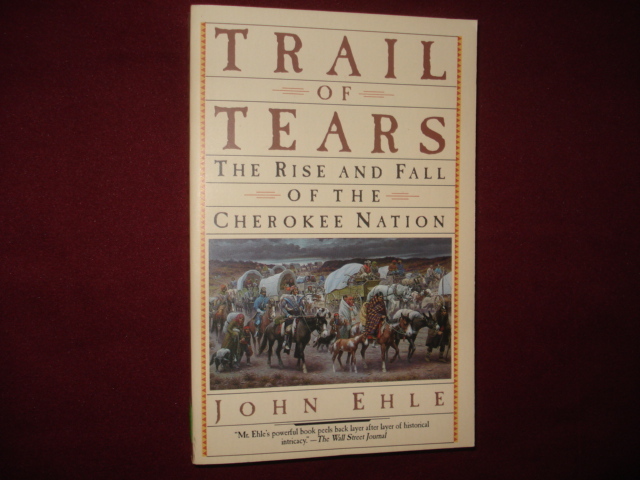 The Rise and Fall of the Cherokee Nation. Photo available. New York. Anchor. 1989. Octavo. Soft cover. Reprint. Illustrated. Fine copy. Ehlert, Lois. Eating the Alphabet. Inscribed by the author. Photo available. San Diego. Harcourt Brace. 1989. 4to. Hard cover. First edition. Illustrated in black, white and color. Inscribed by the author. Fine copy in fine dust jacket (in mylar). Ehrens, Susan. 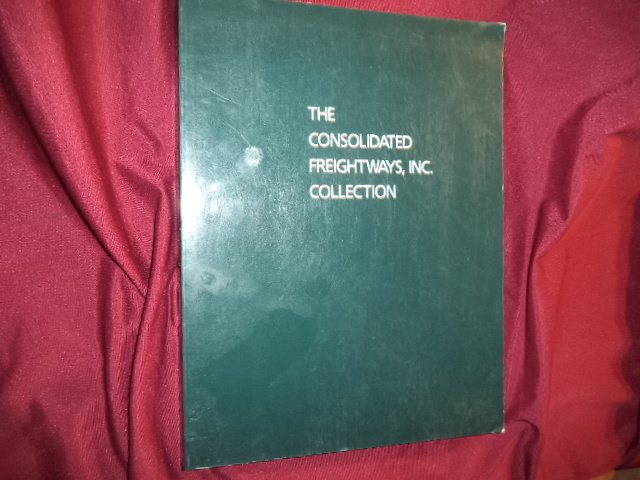 The Consolidated Freightways, Inc. Collection. Photo available. Palo Alto. Self published. 1988. 4to. Soft cover. First edition. Illustrated. Important reference work. Contributions by all the leading photographers. Fine copy. Ehresmann, Julia (ed) & Edward Dietrich. Geneva, Illinois. A History of Its Times and Places. Photo available. Geneva. Geneva Public Library District. 1977. 406 pps. 4to. Hardcover. First edition. Illustrated. Important reference work. Fine copy. Ehrhardt, Roy. 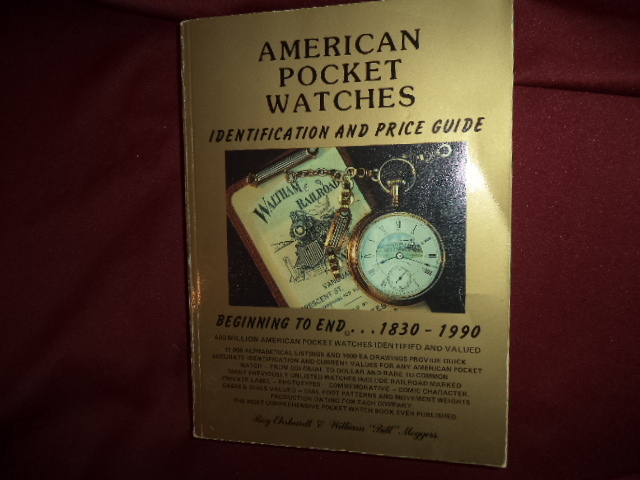 Identification and Price Guide to American Pocket Watches from Beginning to End. Photo available. Kansas City. Heart of America Press. 1987. 480 pps. Octavo. Soft cover. Stated first edition. Illustrated. Important reference work. Fine copy.